BOSTON, U.S. — Mojo Cold Brewed Coffee, Inc. has added three SKUs to its product line. 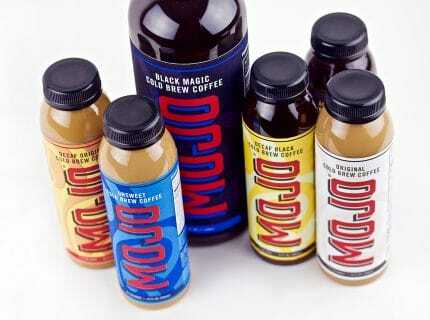 Single-serve bottles of Decaf Original and Decaf Black, as well as liters of Black Magic are available immediately. Decaf Original and Decaf Black are decaffeinated versions of MOJO’s subtly sweet and creamy Original recipe and their smooth black cold brewed coffee, Black Magic. Decaffeinated delivers the same bold coffee flavor that consumers crave, without the usual 214 mg caffeine kick. MOJO’s Decaf Original and Decaf Black fill a void in the ready-to-drink coffee market. They are the only single-serve bottles of decaffeinated coffee available today. Since approximately 10 percent of consumers drink decaffeinated coffee, this rollout should quench an unserved thirst. Buyers from all channels are responding to consumer demands for ready-to-drink cold brewed coffee.